The acute antidepressant effect of ketamine in adults with treatment-resistant depression requires activation of the opioid system, according to the findings of a study published in the American Journal of Psychiatry. In contrast, dissociative effects of ketamine are not mediated by the opioid system but are not associated with the antidepressant effects. These findings were the result of an interim analysis. Ketamine is known to produce N-methyl-D-aspartate (NMDA) receptor antagonism and to activate the opioid system. Nolan R. Williams, MD, of the Department of Psychiatry and Behavioral Sciences and the Department of Anesthesiology, Perioperative, and Pain Medicine, Stanford University, California, and colleagues conducted a double-blind crossover study in adults with treatment-resistant depression to determine the involvement of the opioid system in ketamine’s antidepressant effects. Participants received placebo or 50 mg of the opioid receptor antagonist naltrexone preceding intravenous infusion of 0.5 mg/kg of ketamine. Response was defined as a reduction ≥50% in the 17-item Hamilton Depression Rating Scale (HAM-D) score on post-infusion day 1. 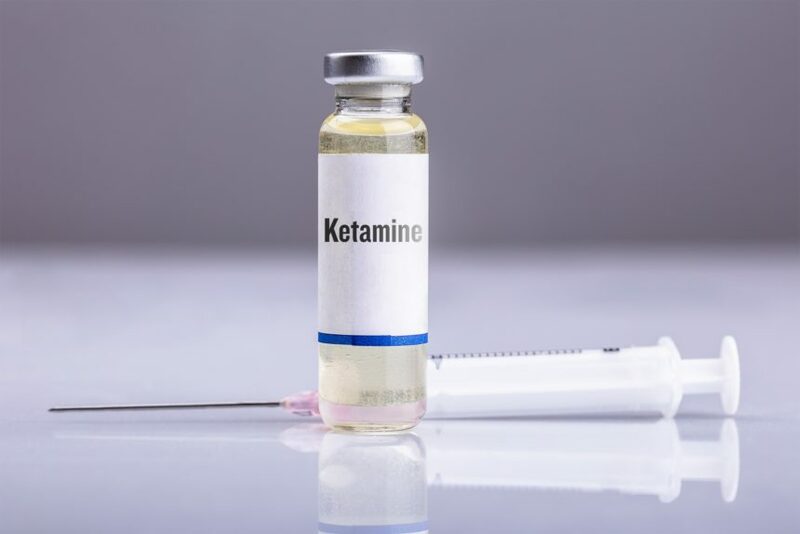 Although the study was planned for 30 adults, the interim analysis included 12 participants who had received 2 ketamine infusions — one with placebo and the other with naltrexone. Of those 12 participants, 7 met the response criterion during the ketamine plus placebo scenario. With the addition of naltrexone, reductions in 6-item and 17-item HAM-D scores were significantly lower than with placebo on days 1 and 3. A secondary analysis of all 12 participants who completed both study phases regardless of initial response to ketamine showed similar effects. Dissociative effects showed no difference between the naltrexone and placebo groups. Because naltrexone dramatically blocked the antidepressant effects of ketamine, the trial was stopped at the interim analysis. The investigators noted that there is accumulating evidence that increased kappa opioid receptor activity is associated with depression, but naltrexone likely blocked both mu and kappa opioid receptors. As a result, it is not possible to distinguish the respective roles of these opioid receptors in mediating the antidepressant effects of ketamine. The researchers called for further studies to explore in greater depth the role of opioid receptors in ketamine’s antidepressant effects using more selective opioid receptor antagonists. Williams NR, Heifets BD, Blasey C, et al. Attenuation of antidepressant effects of ketamine by opioid receptor antagonism. Am J Psychiatry. 2018;175:1–11.